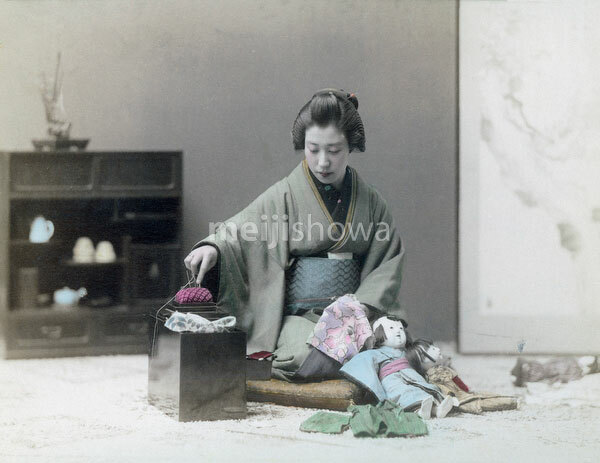 A young Japanese woman in kimono and traditional headwear is sewing clothes for dolls while sitting on a zabuton cushion. Two dolls are leaning against her knees. A sewing kit with a pin cushion stands on the floor in front of her.